Thomas William Hardison was born in Richland, Arkansas (Columbia County) on April 2, 1884. His parents were Dr. William Harvey and Caroline Peavy Hardison. He attended Hendrix College in 1902-1903 before going to Memphis Hospital Medical College. After two years in medical school he returned to Arkansas. In 1905 he was licensed (Conway County) as a medical doctor by the state medical board. His first medical practice was in Tucker, Arkansas. After a short time he secured a position with the Fort Smith Lumber Company as a contract physician for lumbermen in the small town of Adona on lower Petit Jean Mountain. During his first year there, 1907, he married Julia Alma Hutto, a young school teacher (whom he referred to as Mary in his writings). They lived on Petit Jean Mountain the rest of their lives. The couple had one child, a son who also went to Hendrix College, became a violinist, then later earned a Ph. D in engineering in California. In Adona, Dr. Hardison quickly endeared himself to the lumbermen. He took part in their rough-house fun but was respected for the serious attention he gave to the medical care of the lumber jacks and their families. At the same time he was called on by the sick local mountain settlers. He continued working for the lumber company until 1909 when the mill closed its operation. At that time, Dr. Hardison chose to stay with the mountain people. For at least 30 of his 52 years of medical practice (45 on Petit Jean Mt.) he kept a diary of the people he served and of life on Petit Jean mountain. 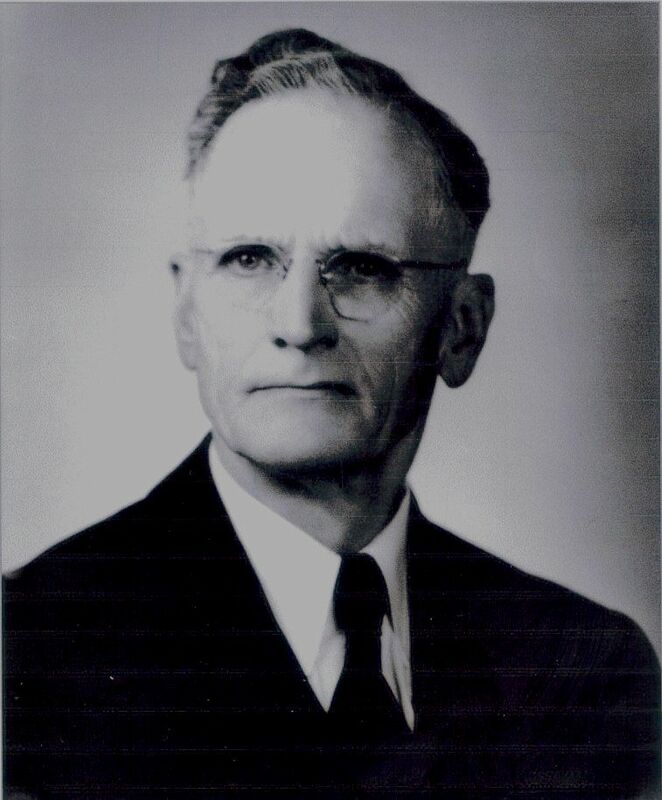 During these years he was active in the Conway County Medical Association and was President in 1923. When his patients needed surgery, he sent them to Morrison, often accompanying them, sometime administering the anesthetic during the operation. Earning a living with the poor mountaineers was difficult. He was often paid with produce or in bartering, yet he never turned down a call for service. To add to his income he began a small farming operation and wrote stories for magazines, successfully publishing at least 8 articles for the Ladies Home Journal, Taylor-Trot wood Magazineand The Country Gentleman. Once he won $15,000 from Proctor and Gamble in a writing contest. In his later years he wrote a 24 chapter draft of a book of his life and his practice. Though it was never published it contains tales of his patients, how he traversed Petit Jean Mountain on foot, on horseback, in the snow and though fields of wild flower, or later in a car, and how the mountain and its people changed over the years. The last paragraph in his unpublished book conveys his love and commitment to Petit Jean Mountain and the patients he served. Always with pencil in hand, Dr. Hardison took notes on the mountain’s seasons, its animals, rocks, caves, trees, the climate and later wrote pamphlets on folklore, geology, paleontology, natural history, the Anglo-American settlement of Petit Jean, its archeology and aboriginal art. He cataloged many of these items. Much of his collection was donated to Hendrix College and later to the State Park Service. Dr. Hardison is known as the Father of Arkansas State Parks. It was earlier in his lumber contract days as he listened to lumbermen discuss the cost of logging the trees on Petit Jean Mountain that the “idea occurred to me that the trees might as well be left to live out their lifespan unmolested by axe and saw and the area converted to a park”* that eventually led to Petit Jean becoming Arkansas’ first state park. It was through Dr. Hardison’s efforts that the Arkansas State Park System was established. In 1927 the American Scenic and Historic Preservation Society awarded Dr. Hardison the Pugsley Bronze Medal for his service in the Arkansas State Park Movement. He served on the State Park Commission for many years and was Chairman from 1937-1941. A Building named Hardison Hall was rededicated in his honor at Petit Jean State Park after his death in 1957 and a large bronze plaque was placed over the cornerstone designating the tribute. In 1956 Hendrix College conferred upon Dr. Hardison an Honorary Doctorate of Laws Degree. co-mingled ashes were scattered on Petit Jean Mountain by their son. *George Reynolds Collection for Arkansas History and Culture. University of Arkansas at Little Rock, Little Rock, Arkansas, unpublished draft of book based on diary notes by Dr. W. T. Hardison.